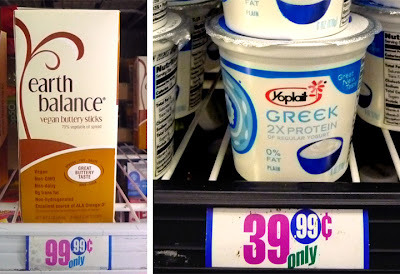 This is the first video in a new series I'm calling Cheap$kate Dining. (My video review is at the bottom of this blogpost.) 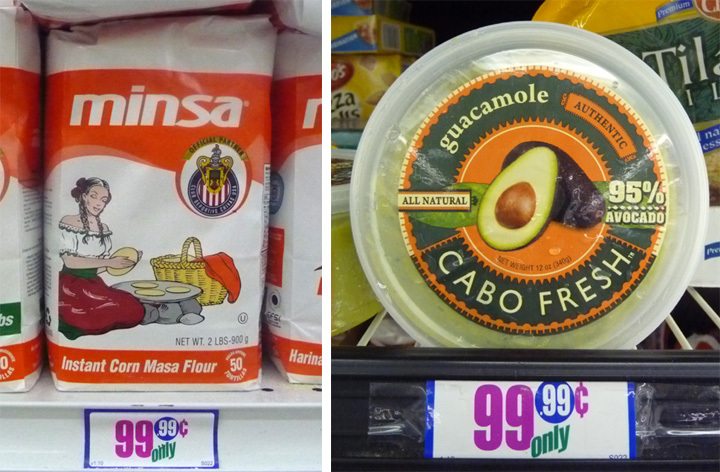 Being a chintzy bottom feeder and living in Los Angeles, we have everything from mega-chain fast food joints hawking dollar Value Meals, to Salvdoran Pupuserias that sell stuffed tortillas, of meat, beans, or cheese, for 99 cents. Locally, most food blogs and media writers review the latest groovy or high-end eateries -- that's not my beat. Hey, power to them. Number one, I can't afford them, also I'm not on the publicity gratis gravy train....yet. But there are plenty of tasty and inexpensive places to chow down at, and I'm going to give you the lowdown. The set up is this: I rate an eatery on a scale of 1 to 9, 9 being best - anything above a 5 is worth a taste. I'll be covering a bunch of places including fast food Value Meal selects, or the best Al Pastor tacos in Los Angeles from the lauded Leo's Taco Truck. 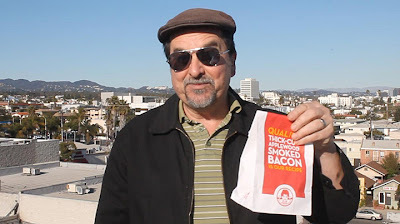 I'm including national fast food chains so all my out-of-town visitors can benefit (or be warned) of the best meal deals I think are out there. So between my tasty cheap recipes, food travelogues, comedic culinary hijinks and photo food artistry, you can now add to the list, Cheap$kate Dining. 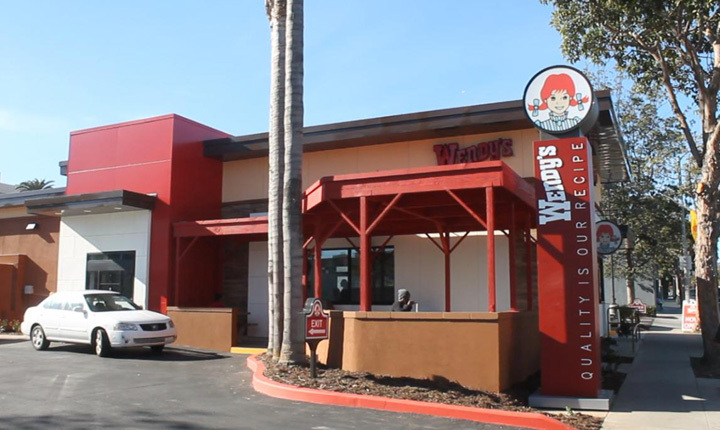 First up is Wendy's Jr. Cheeseburger for 99 cents (plus tax.) This hamburger chain began in Columbus Ohio in 1969 by Dave Thomas, and Wendy's is named after his fourth daughter Melinda Lou "Wendy" Thomas. This is real Middle America fast food dining at it's cheapest. 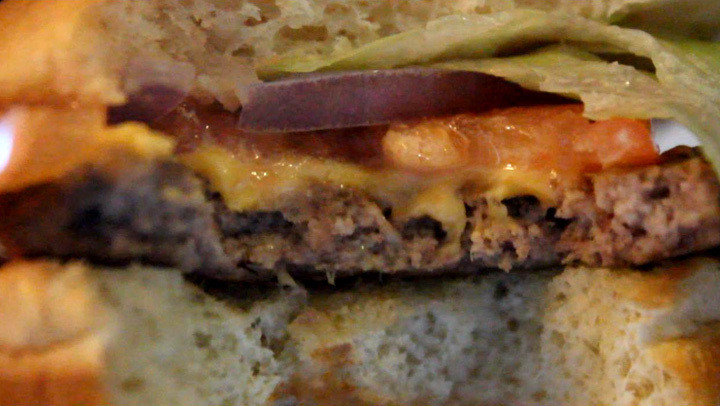 Cheeseburgers are a guilty pleasure and Value Meal ones, while small, are sometimes quite tasty. 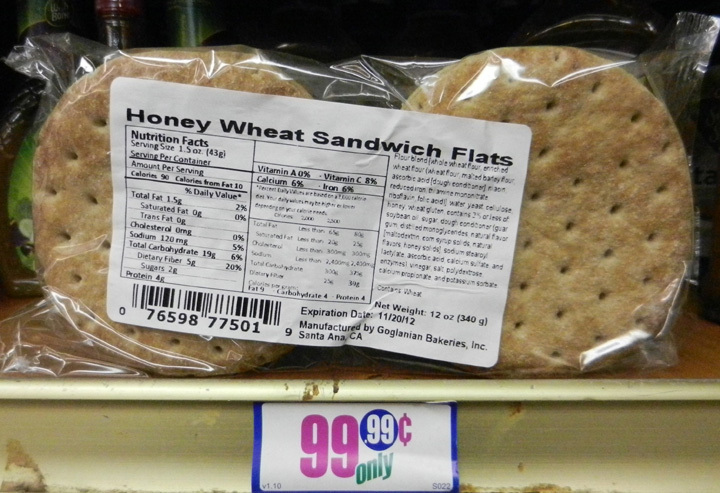 And I would have to rank Wendy's 99 cent Jr. Cheeseburge, or Jr. Cheeseburger Deluxe for $1.19, high on the list. On the plus side you can ask for all the fixings* on your burger including: lettuce, tomato, pickles and red onion. I especially liked the ring of red onion. Additionally, they put only ketchup and mustard on the burger, so if you like mayo then request it. 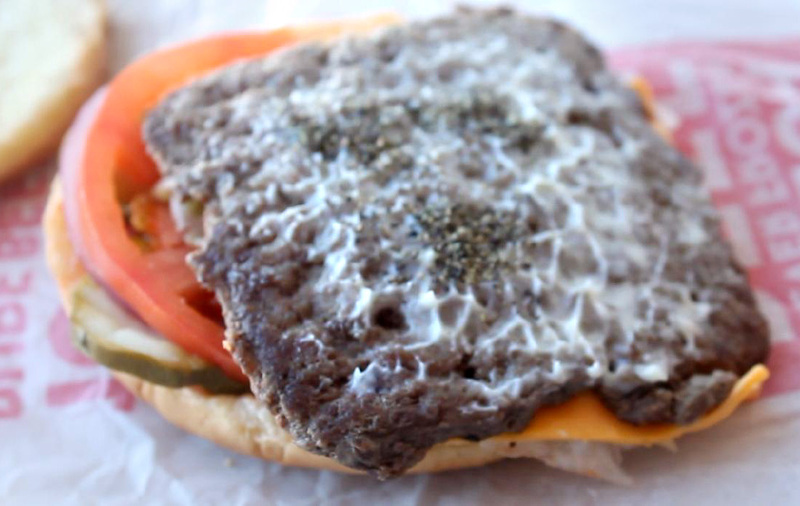 It's unusual to get a such a cheap burger with all that, plus cheese. It's just plain American cheese, but I'm a patriot so I salute them for it! But something I'll never get used to is Wendy's square meat patty. It pokes out from the round buns -- so it seems like more meat for your money. As with most fast food burger chains the cooked thin patty dries out sitting under those accursed heat lamps (or ovens.) The meat patty is grilled on a flat top range like McDonalds. So while the meat is good enough, it's not as fresh cooked and moist as your local Mom and Pop burger joint would do it. So drum roll please...on The 99 Cent Chef's Cheap$kate Dining Scale of 1 to 9, 9 being best, I give Wendy's Jr. Cheeseburger a 6. I'll keep going there from time to time for a quick cheeseburger fix -- it's a pretty good chea$kate deal. *Please note that the Wendy's I went to just opened so they gave me lettuce and tomato without extra charge. They have a value Jr. Cheeseburger Delux for $1.19 that includes those extra ingredients. So I unintentionally scammed them. A typcial Jr. Cheeseburger comes topped with red onion, ketchup, mustard and pickle. 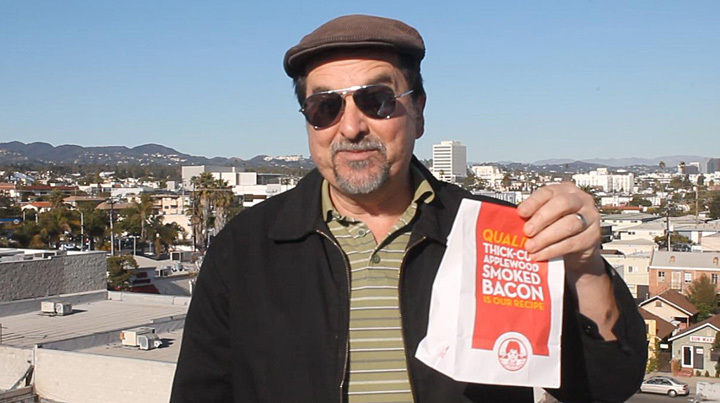 I would still rate a Jr. Cheeseburger a 6 and a Jr. Cheeseburger Deluxe a 7. Play it here. Video runs 1 minutes, 24 seconds. 99 thanks to Chad Reder for his camerawork. The Frugal Forager strikes gold with a great selection of the Best Food Finds of 2012 from my local 99c only Stores. 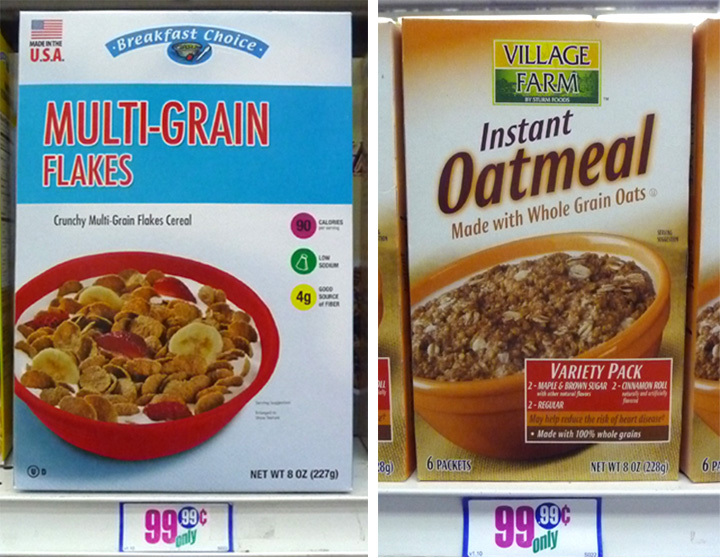 There has to be one of these stores every few blocks in Los Angeles, and I've perused every last aisle in them all. Plus 99c only Stores are now in Texas, Nevada and Arizona, so the fantastic finds are spreading! 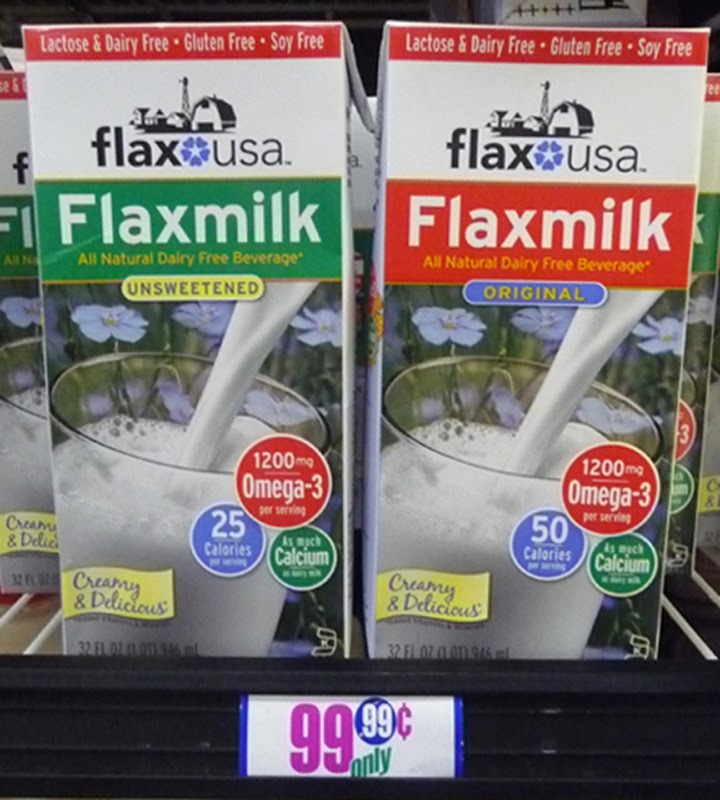 I can spot a great deal on the shelf a mile away and have learned that you have to get it right then -- come back 15 minutes later and it may be history. 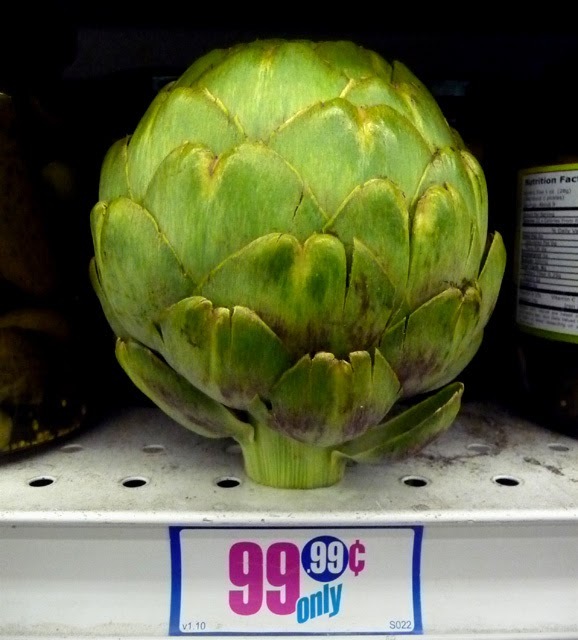 But there are recurring bargains, like: fresh packaged mushrooms, asparagus, fresh strawberries, organic lettuces, yogurt, organic canned veggies or sauces, and wheat pasta and bread. So I always make it a point to drop by a 99c only Store on the way to and from my city travels to work, movies or concerts. 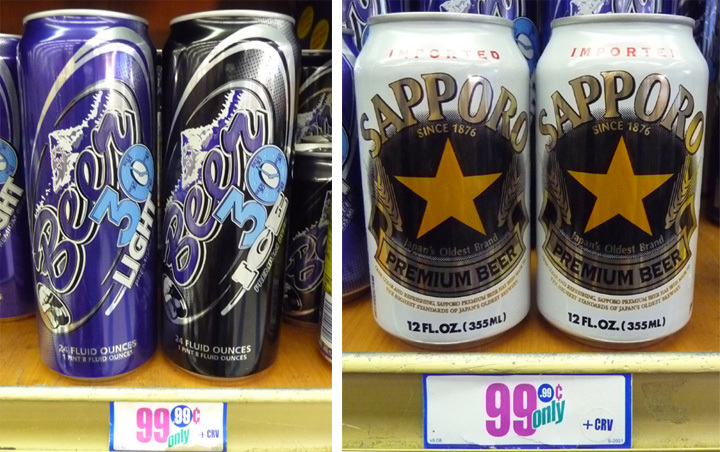 This year is especially noteworthy for the varied beer stock, including 24 ouncers for 99.99 cents plus CRV. Often the beer selections are off-brands; but I've learned to love them all, as the buzz is the same! More airline-sized plastic bottles of wine are carried than the good old days of full-sized ones. 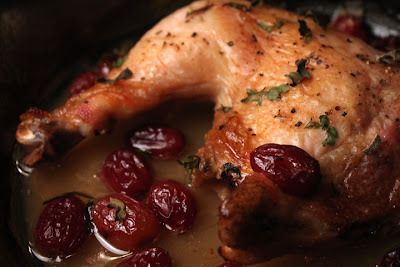 (Although these smaller sizes are perfect for a sip and flavoring the sauce of my Roasted Chicken and Grapes entree, here.) 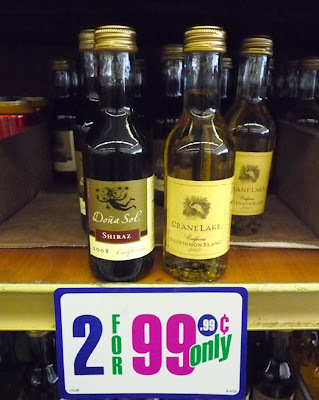 99c only Stores are starting to stock full sized bottles of wine again but charge (about) an extra 49 cents per bottle, still a great deal. I try to be selective and pass by the rows of cookies, candy, salty chips and soft drinks (which you'll find at any grocery store) and zero in on the fresh produce and canned goods. 99c only Store on Facebook, click here. 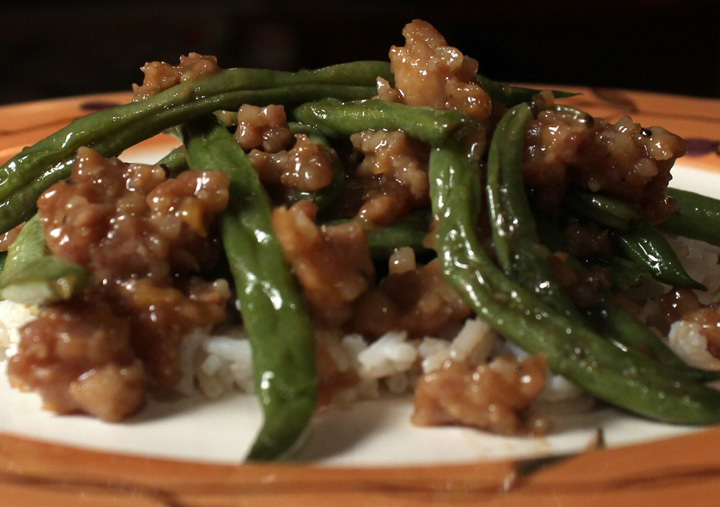 My Green Beans & Ground Pork Stir Fry is wife approved! I do a lot of stir frying because it's a simple one pot dish that combines veggies with protein. 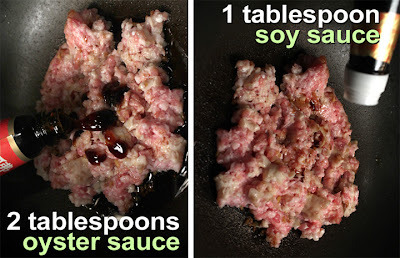 Just enter "stir fry" in the "Enter Ingredient or Recipe Keyword(s)" window on the top right side of this blog to see the tasty recipes I've come up with. But the recipes have all been photo and text based only -- up to now. Well, it's time for an animated recipe video that only The 99 Cent Chef can do, plus it's fun to watch and cheap to make. 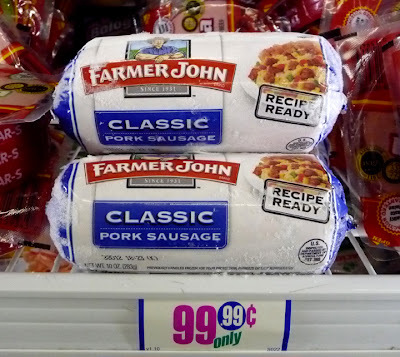 I usually use ground turkey or chicken in my stir fries because it's cheaper (and leaner), but an inexpensive 10 ounce package of Farmer Johns ground pork is too good a deal to pass up. 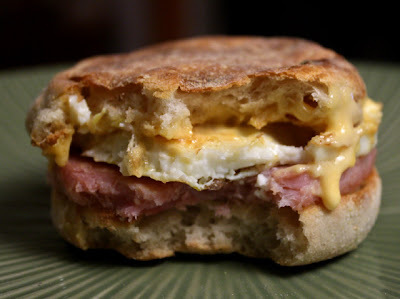 (You could also use breakfast link sausage.) 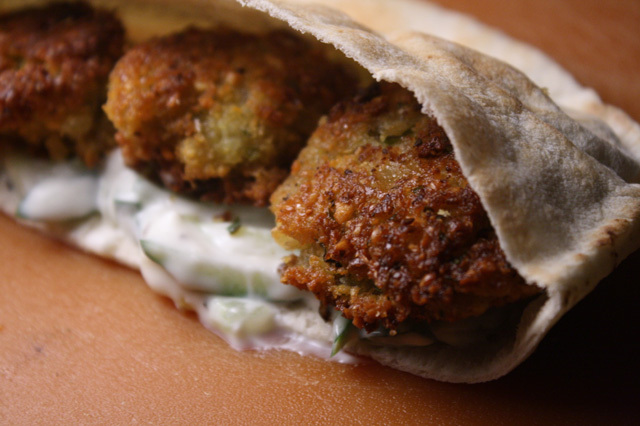 This recipe is enough to feed two. 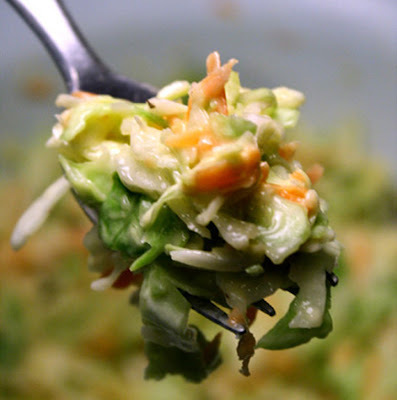 To stretch it out a bit more just add the stir fry over cooked rice or boiled ramen noodles. 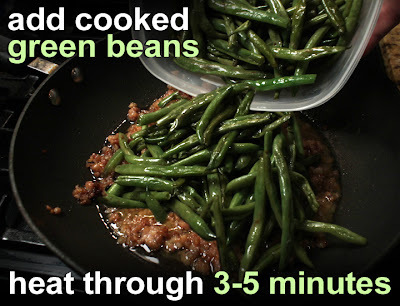 At the end of this post, under Hindsight, I have some lighter variations of my Green Beans & Ground Pork Stir Fry, so there is no excuse not to make it...soon! Play it here. Video runs 3 minutes, 21 seconds. 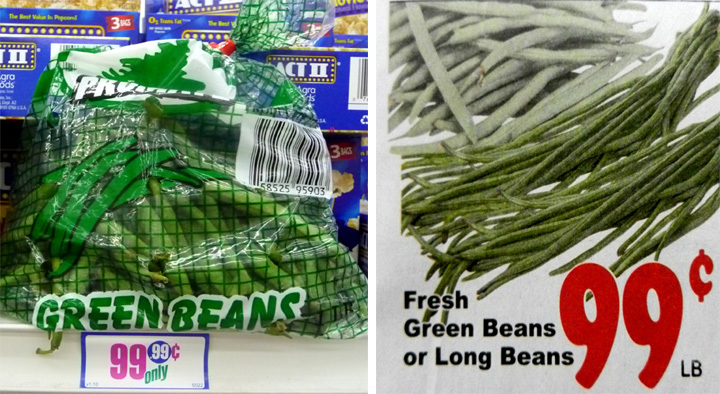 1 pound green beans - Okay to use less. 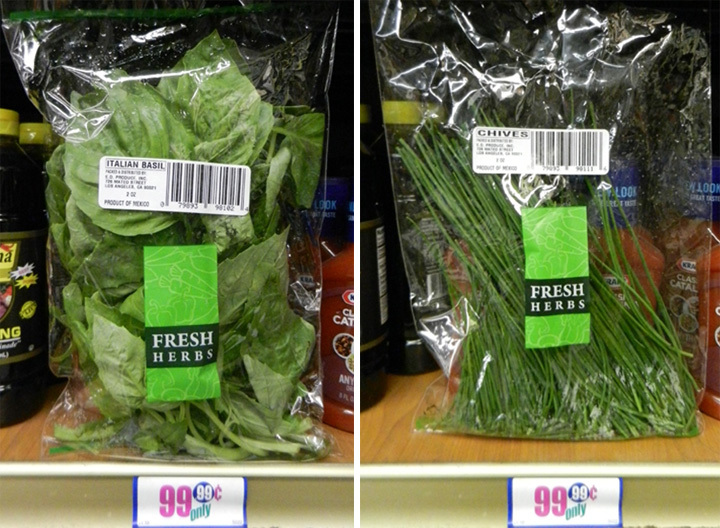 Frozen green beans (or a favorite veggie mix) is a cheap substitution. Just add at the end of recipe and cook until defrosted. 10 ounces to 1 pound of ground pork - I used a 10 ounce package. Substitute ground chicken or turkey for a lighter stir-fry. 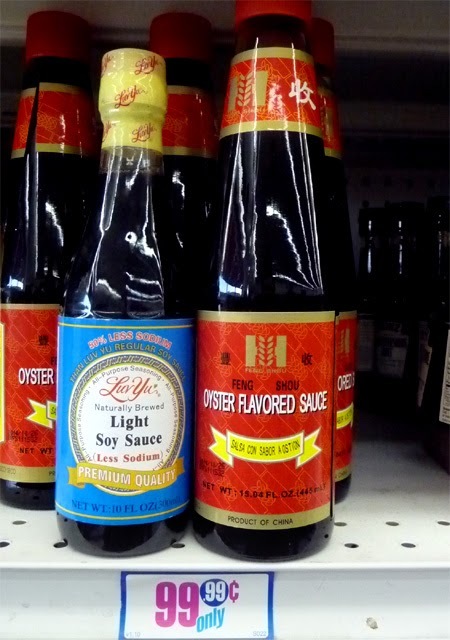 2 tablespoons of oyster sauce - or your favorite Oriental stir fry packet, or sauce, like sweet and sour. 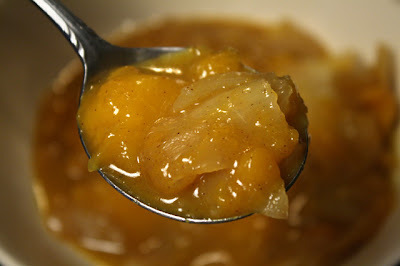 1 small pack of sweetener - Substitute a teaspoon of regular sugar, or any favorite sweetener like honey. 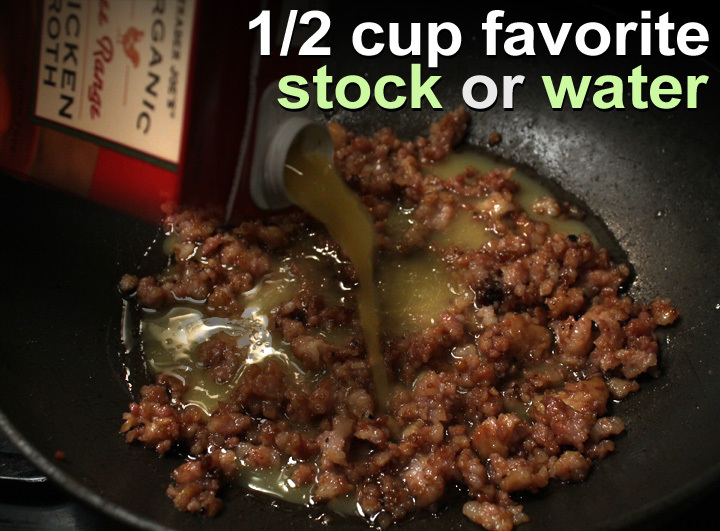 1/2 cup of broth, white wine, or water - or use a 1/4 cup for less sauce, it's up to you. About 3 tablespoons oil for stir frying - 2 tablespoons for green beans, and 1 teaspoon for ginger and garlic (if needed.) 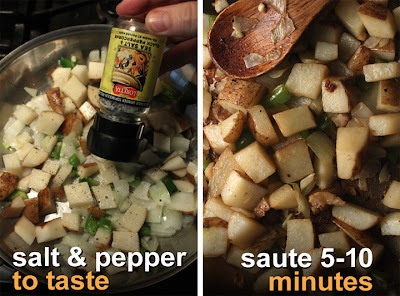 Okay to use less oil, for a lighter stir fry. Pepper to taste - No salt needed as soy sauce has plenty. 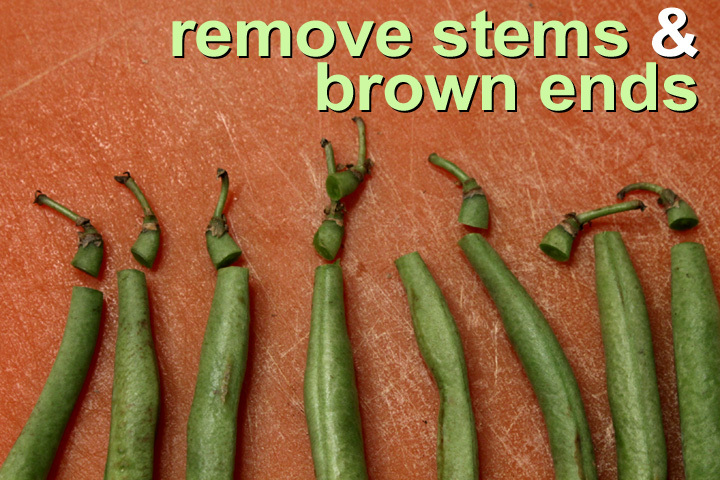 Trim off stems from green beans and any brown or dried tips. 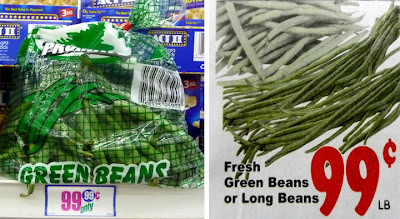 I left green beans whole, but you can chop them in half, or into bite-sized pieces. Add 2 tablespoons oil to a wok over medium heat. When the oil is hot carefully add the green beans. 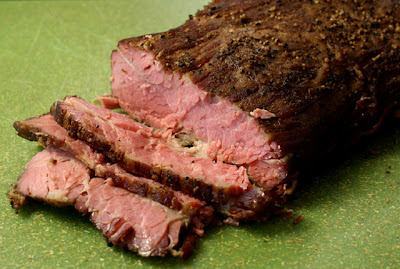 Keep them moving for about 3-5 minutes, to cook to a desired tenderness. I like a little crunch so I stopped the cooking by 3 minutes, but okay to cook a couple of minutes more for more tender beans. 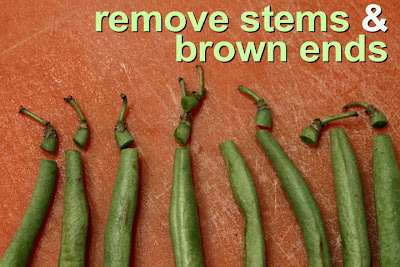 When done remove beans to a plate or bowl. Peel and chop a small chunk of ginger. The skin on ginger is tissue soft, so the edge of a spoon will scrape it off easy enough. Use a knife for hard-to-reach parts. 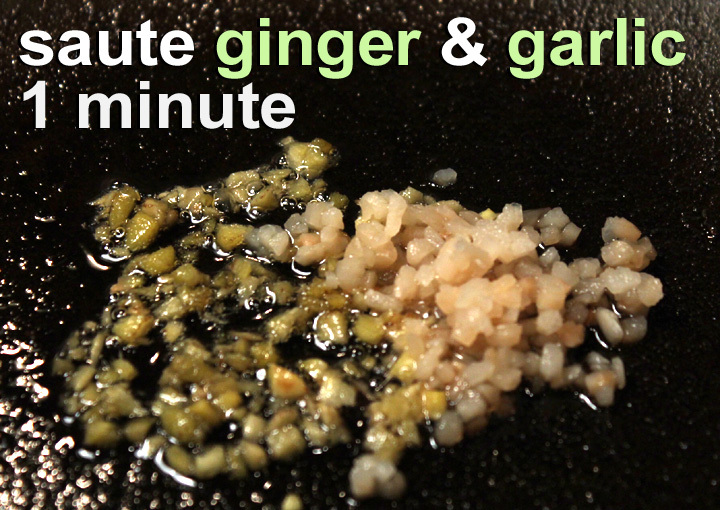 Slice and chop ginger into small pieces, about a tablespoon amount. 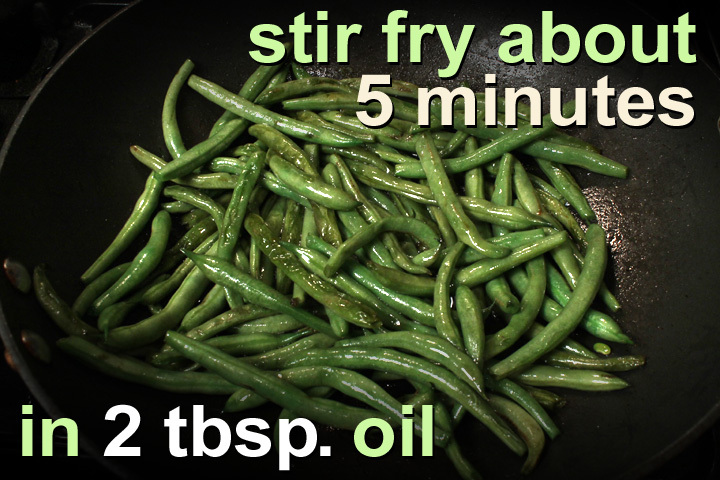 Add one teaspoon of oil to wok (if oil is used up from frying green beans.) Saute ginger for a minute over medium heat. Next chop one clove of garlic or use a teaspoon of garlic from a jar. Add it to sauteing ginger. Reduce heat to low and saute for another minute, careful not to burn the garlic. While garlic and ginger sautes, open package of pork. When garlic is heated though for a minute add the ground pork. Mix it into ginger and garlic. Now add soy sauce and oyster sauce. (If you don't have oyster sauce use an easy-to-get teriyaki sauce, or just go with soy sauce only.) 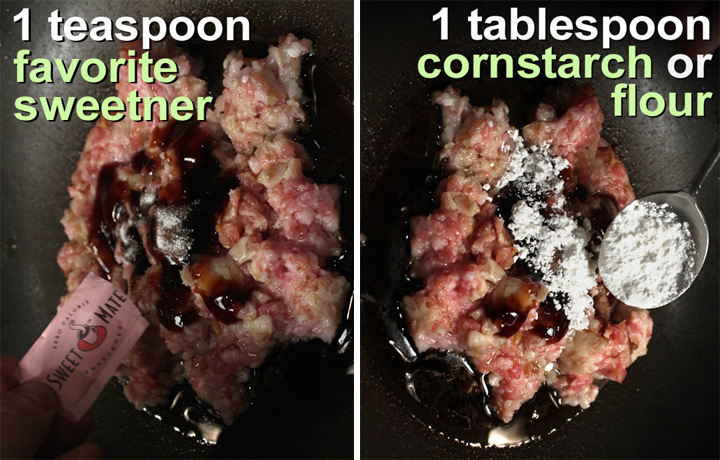 Sprinkle in some sugar and cornstarch (or flour.) Season with pepper to taste. You can add red pepper flakes for extra heat. 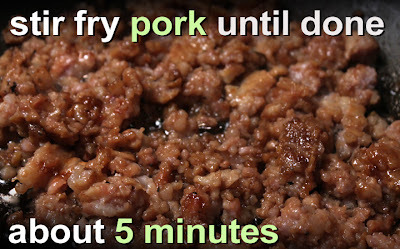 Mix well and stir fry pork until done, about 5-10 minutes over a medium heat. (No need to add oil, as pork is usually fatty enough.) 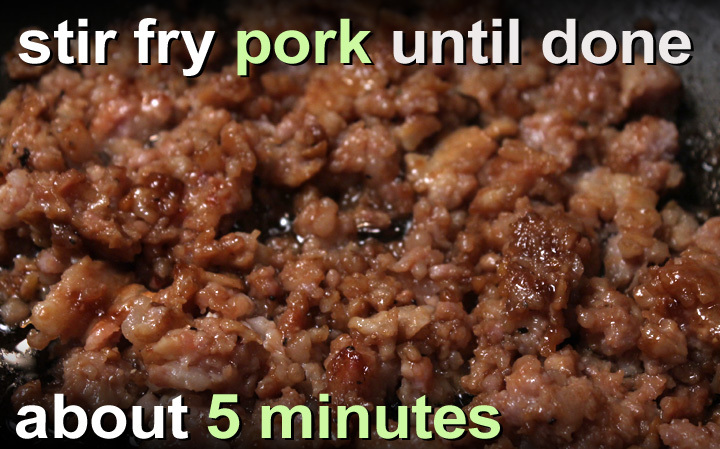 When pork is done you can strain off some or all of the fat, depending how lean the meat is. I like to leave in at least a couple of teaspoons fat for flavor. Now time to finish it up. Add 1/2 cup of broth, white wine, or water. Put in the cooked green beans and stir fry over a medium high heat until liquid thickens and beans are heated through, about 3-5 minutes. Serve hot over rice or noodles. Also tasty on it's own. 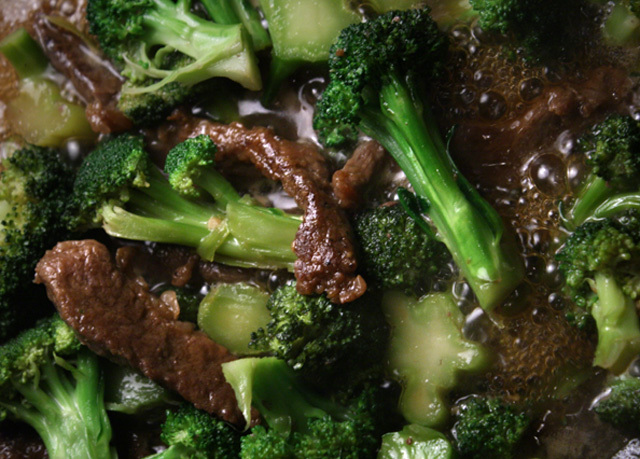 This is a basic stir fry recipe. 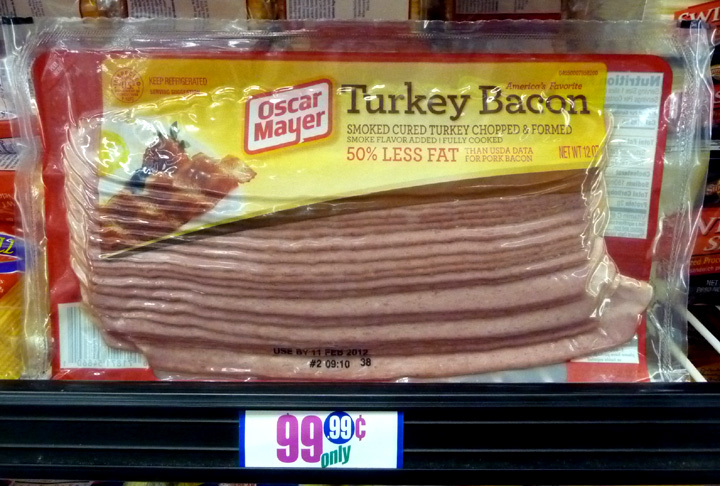 You can use almost any type of protein, including: ground chicken, turkey, beef, or sliced chicken, pork or beef. Frozen green beans (or a favorite veggie mix) is a cheap substitution. Just add at the end of recipe and stir fry until defrosted. 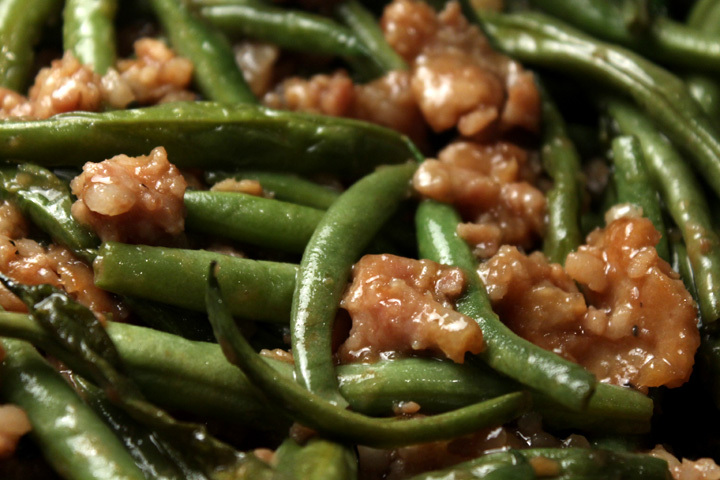 The amount of ground pork and green beans is approximate -- add more or less as you like it. 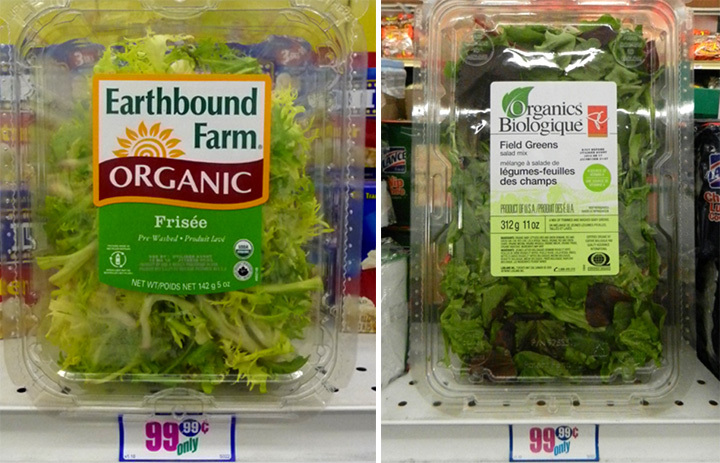 You could also substitute green beans with cheaper chunks of carrot or any veggie you like. If you like a lot of sauce then double broth or liquid, and cornstarch amounts. 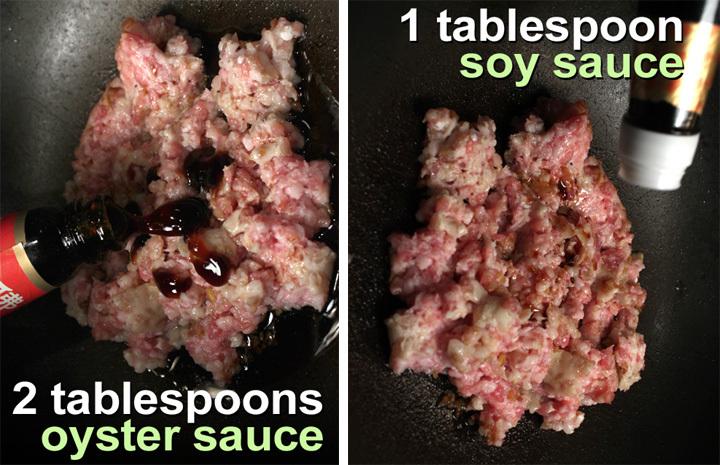 You can also add more oyster and soy sauce. 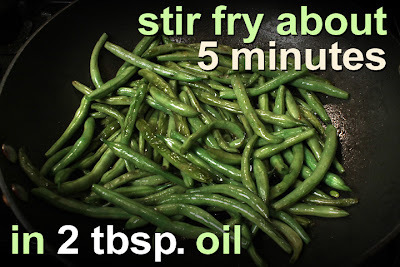 For a lighter stir-fry steam green beans covered, to a desired tenderness (about 3-5 minutes) instead of frying them in oil. And use less greasy ground chicken, turkey or sliced chicken breast. I served my Green Bean & Ground Pork Stir Fry over brown and white rice. You could also boil a package of ramen noodles and drain them. I recently got back from skiing in Mammoth, California. With almost $100 lift tickets and equipment rentals, you have to save a few bucks somewhere, and I do it by not eating out. I packed a few food items for the drive up. Before you hit the slopes it's best to have a big meal with plenty of carbs -- to battle the cold and keep your energy up. One of my meal highlights was a humble ham and eggs with my Breakfast Potatoes. And my wife and friend Drew ate them up! I thought I made enough spuds, but should have made more -- that's how quick they disappeared and how tasty they were. So here's my Breakfast Potatoes recipe that is great served on a snowy, cold morning. 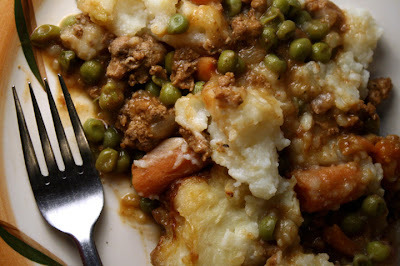 You can use russet, white or red potatoes. I like to leave the skin on and saute them with chopped onion, bell pepper and garlic. That's it - couldn't be simpler. The only unusal step is to add a couple of tablespoons of water, then cover and steam the Breakfast Potatoes for a few minutes just before serving. This loosens the browned cooked bits on the pan so you get all that extra flavor to mix into the potatoes. 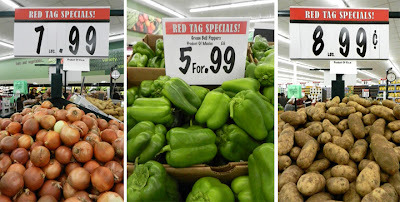 Spuds are cheap all the time and the veggies are too -- especially at my local Latin market, Superior Groceries. 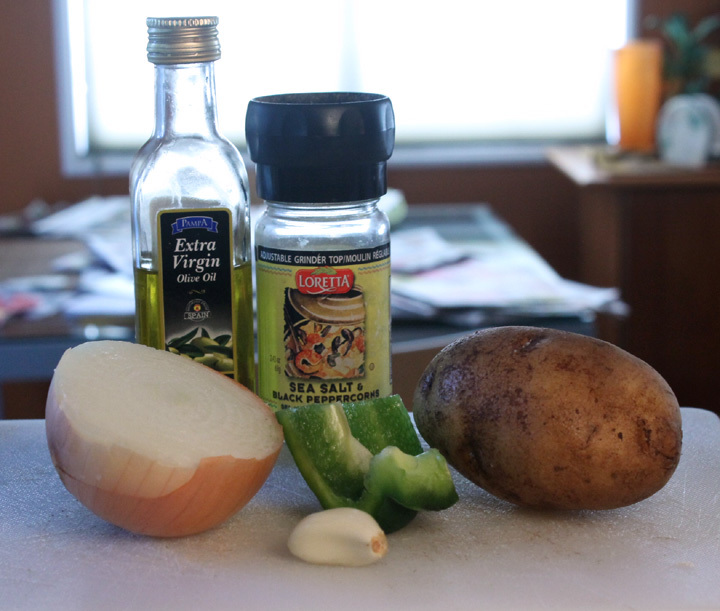 This tasty spud side dish can go with your favorite egg recipe. 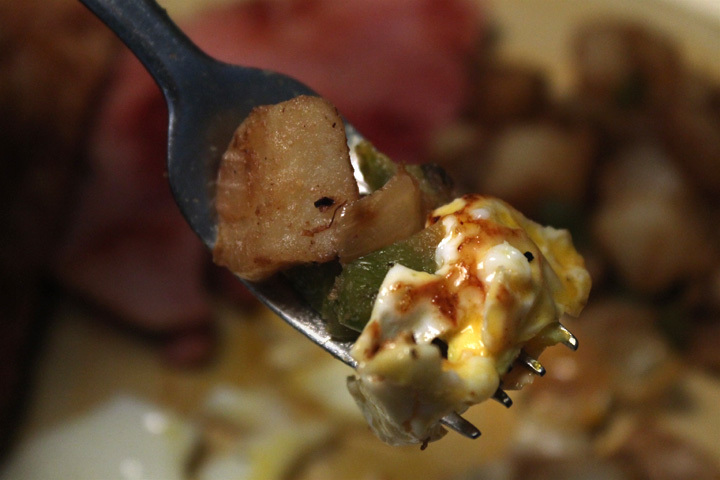 I like to simply fry my eggs so the creamy yoke mixes into the Breakfast Potatoes -- try it this way some time. As a bonus, check out my skiing video from a couple of years ago, where I hit the slopes for the wildest ski ride you'll ever see! Play it here. Video runs 5 minutes, 32 seconds. 1 potato - about 1 cup cubed. 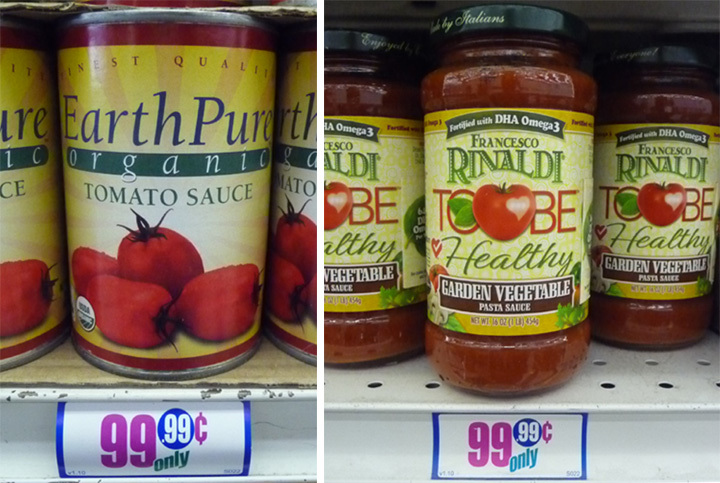 Okay to use a russet, red or white potato, or any favorite on sale. Small red or white potatoes are smaller so 2 may be needed for this recipe. 1/2 onion - about 1/2 cup chopped. Okay to use less to your taste. 1/8 bell pepper - about 1/4 cup chopped. Again, okay to use less to suit your taste. I got a green bell pepper, but you can use any color. 1 clove garlic - about 1 teaspoon chopped. Cut potatoes into small cubes, about 1/2 inch or smaller. Add oil to frying pan over medium heat. When oil is hot add the chopped potatoes and veggies. Mix well. Salt and pepper to taste. 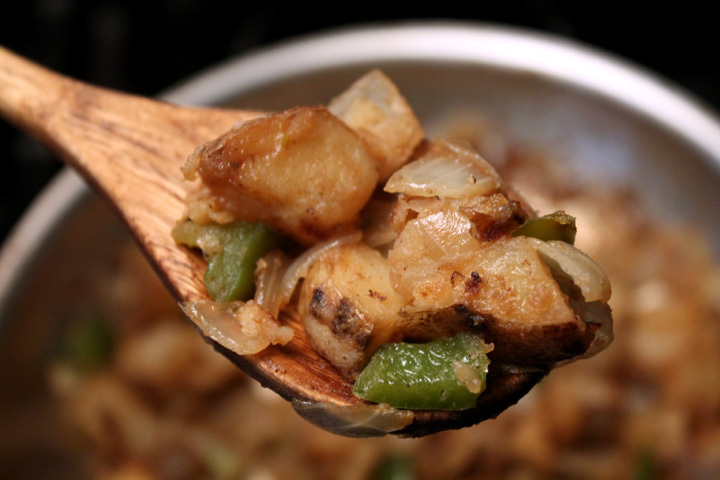 Cook until onion and bell pepper start to soften, stirring often. 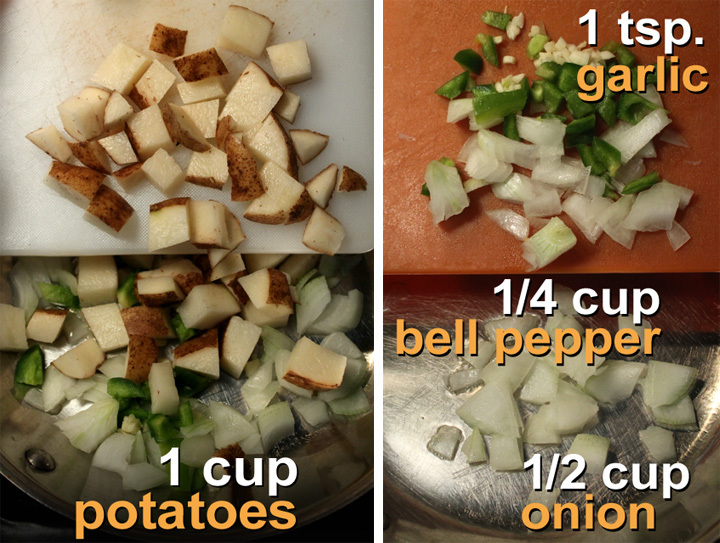 Should take about 5-10 minutes, depending how thick the potatoes and veggies are chopped. I like to finish my Breakfast Potatoes this way: add 2 tablespoons of water and give the veggies and potatoes a good stir. Cover and let potatoes and veggies steam for 3 - 5 minutes. Done when potatoes pierce easily with a fork or knife. 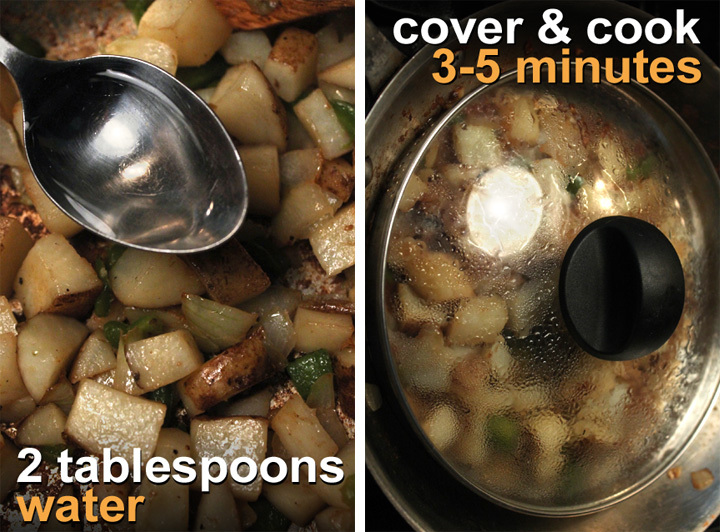 Finally, uncover and let the Breakfast Potatoes cook for a couple more minutes to make sure all the liquid cooks out. 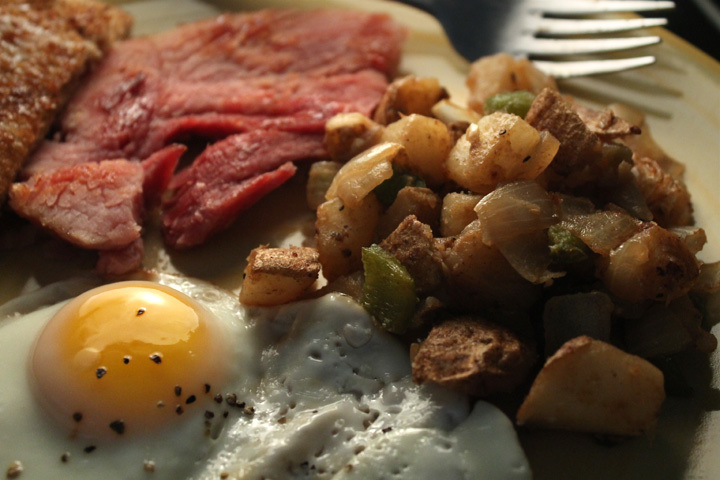 Serve hot, as a side with your favorite breakfast meal. I like fried eggs so the yoke runs into the potatoes...so good. 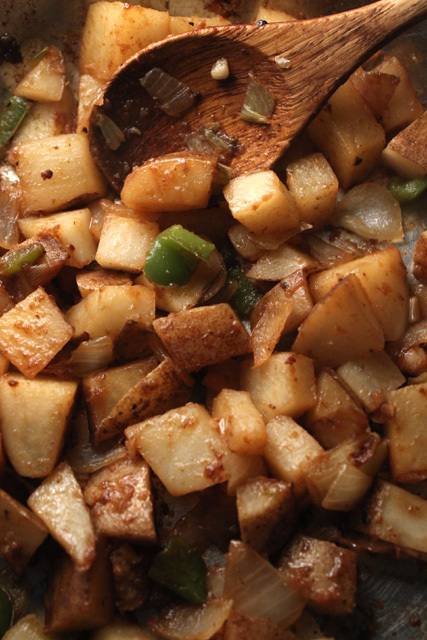 For crispy potatoes, just add an extra tablespoon of oil and fry one side of the potatoes until brown. Then add the veggies and stir. Cook veggies until soft and potatoes are tender all the way through. And skip the "steaming with water" part.